Are all deposits guaranteed by the Bank Deposit Guarantee Fund? ArticlesAre all deposits guaranteed by the Bank Deposit Guarantee Fund? In principle, the law provides for the guarantee of all types of deposits, ie. it does not matter whether my money in the bank is in the form of a deposit, a current account or any other form. Besides, it does not matter whether my deposit is in leva or in foreign currency. the money in my deposit is the result of "money laundering" and this is established by a verdict in force. How much is my deposit guaranteed? My deposit together with the interest amounts to less than BGN 196 000.00. In this case, the full amount of my deposit together with the interest is guaranteed. My deposit amounts to more than BGN 196 000.00. Only the portion up to the maximum size is guaranteed. Important! The amount of my deposit is defined as the sum of all the deposits I have in one bank, ie. all principals and all interest. Different deposits in one bank are treated as a single deposit and are not guaranteed on their own. Therefore, the total amount of my funds in the bank is important, not how many individual financial instruments I have invested. For example, if I have a deposit of EUR 60,000 and a current account with a deposit of BGN 20,000 and a saving deposit of BGN 30,000, the amount of my funds in this bank is roughly 170,000 leva. If, however, I have deposits in different banks, they are guaranteed by the Fund on their own, each up to the amount of BGN 196 000.00. How can I make use of the Deposit Guarantee Fund? To be able to benefit from the Fund, it is necessary for the BNB to decide to withdraw the license of my bank. Once this happens, the central bank will declare the decision publicly and after no less than 7 business days I will be able to withdraw my money from another bank that the Fund determines. Is it possible for the Fund money to end and for me not to stay? Yes, funds available in the Fund may be over. But that does not mean I will not get my money. The Fund may legally raise additional funds by obliging all banks in the country to advance their annual premium installment or by withdrawing a loan from another local or foreign bank and even from the state budget. Are all deposits guaranteed by the Bank Deposit Guarantee Fund? 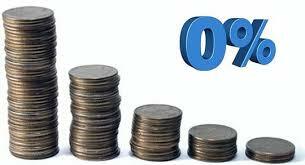 Are all deposits guaranteed by the Bank Deposit Guarantee Fund?